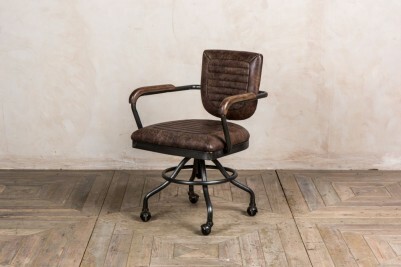 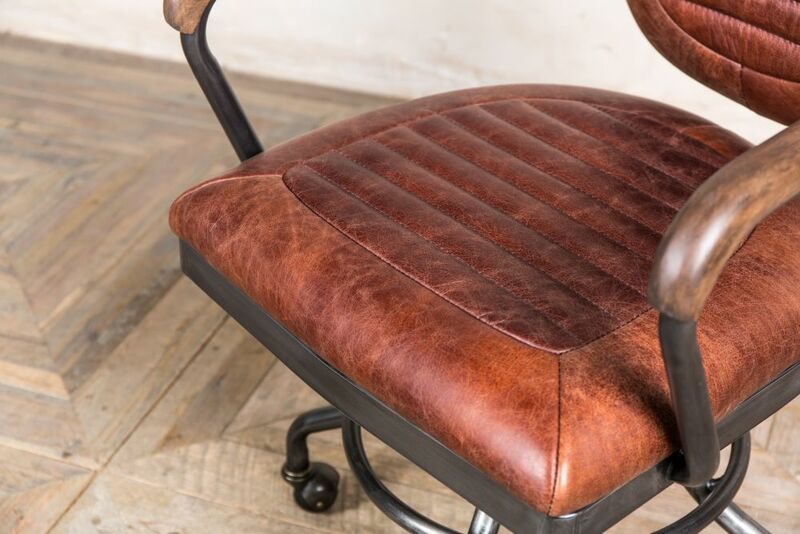 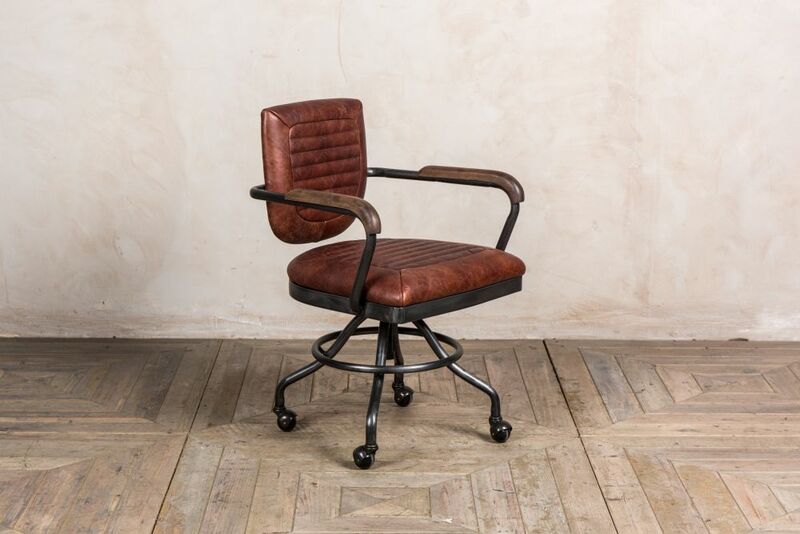 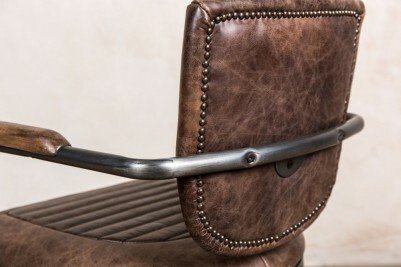 Add vintage character to your office space with our ‘Exeter’ vintage style office chair. 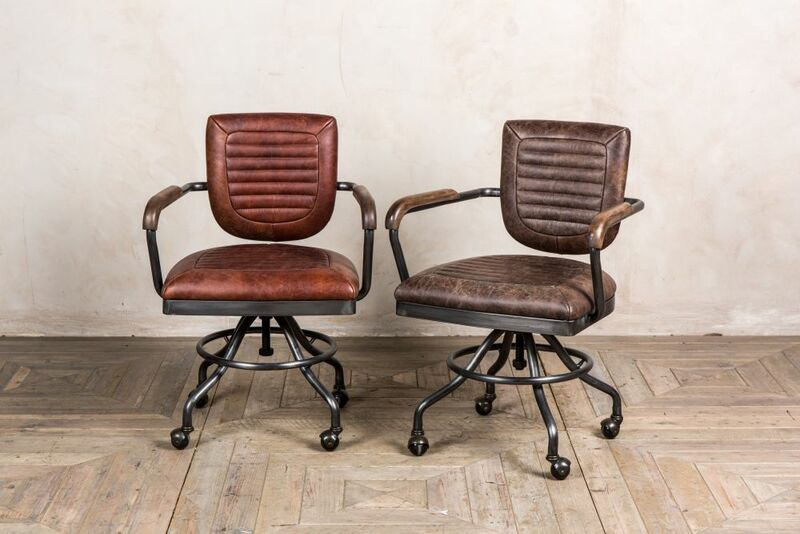 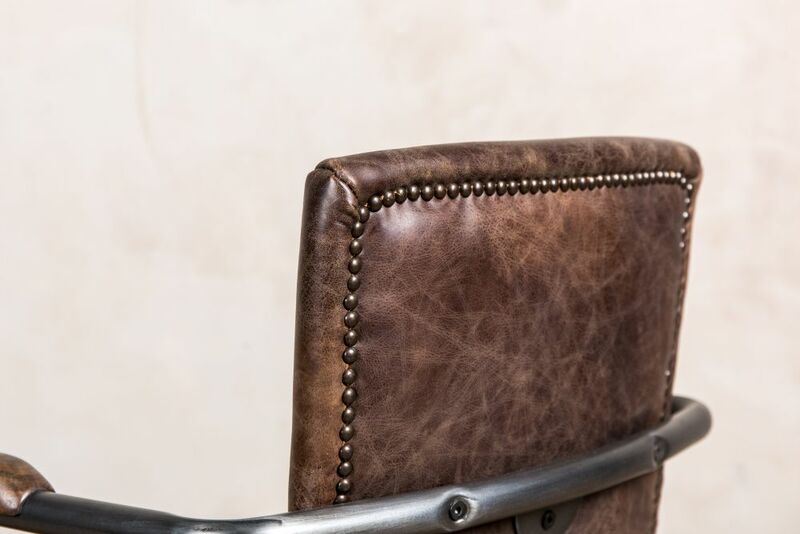 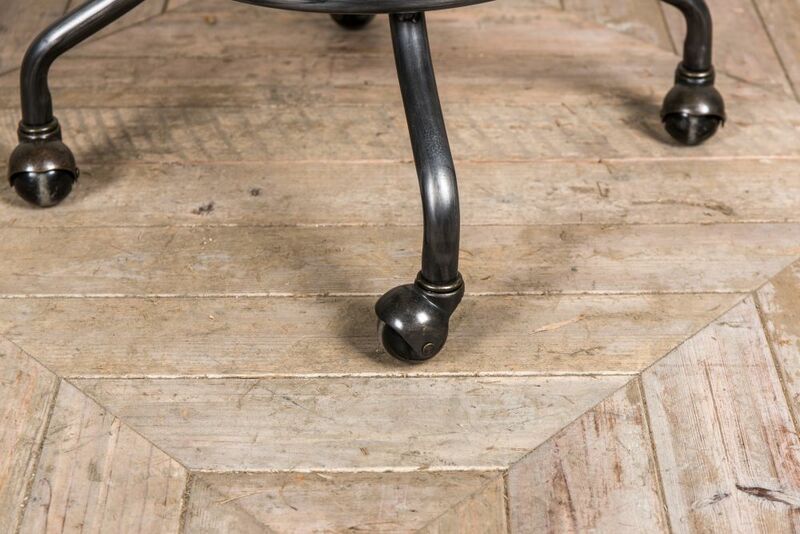 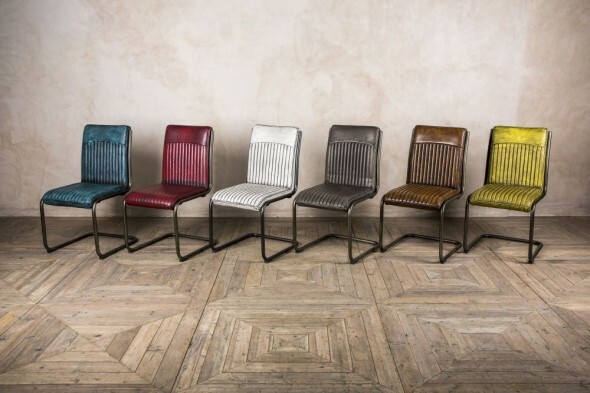 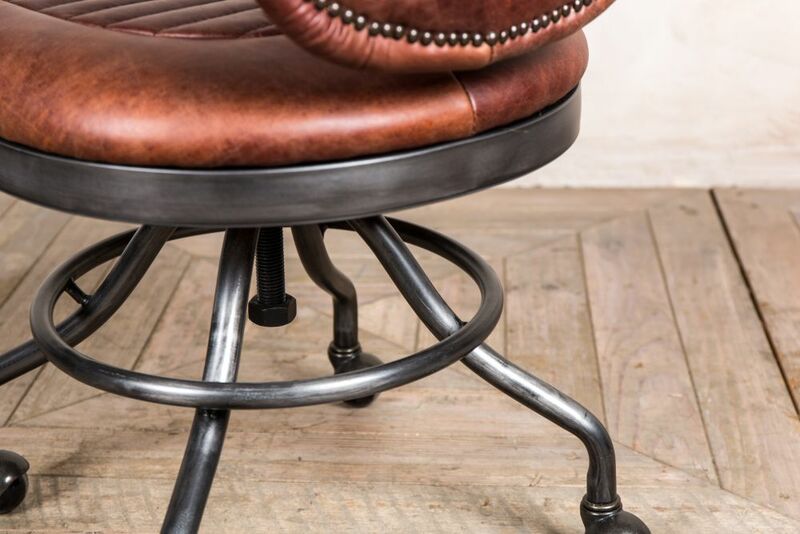 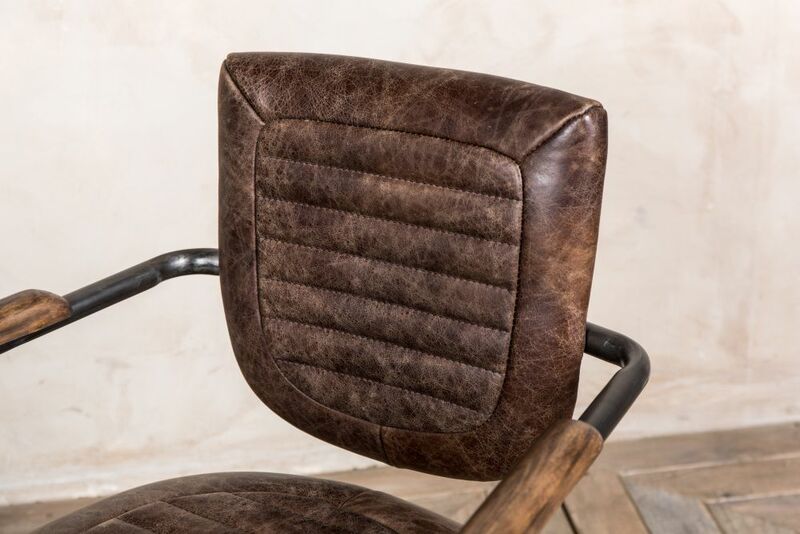 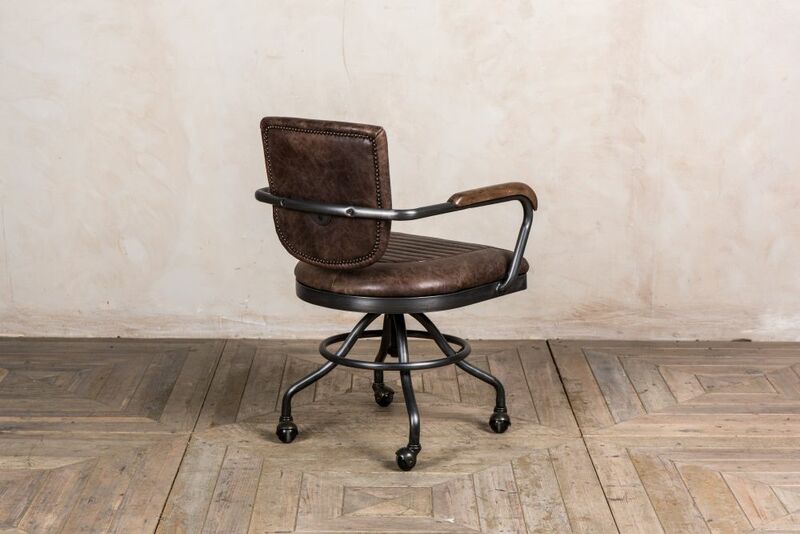 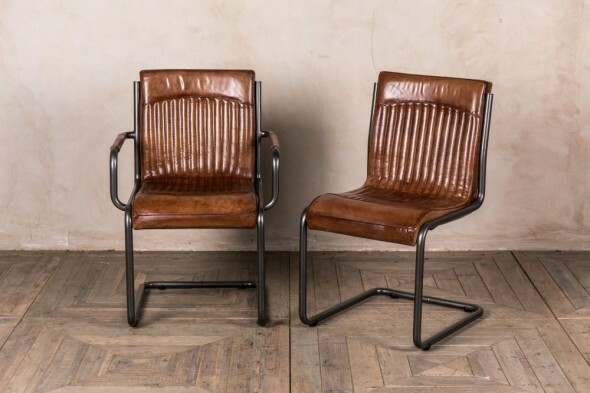 The distressed metal and aged leather give this chair a well-loved look that is perfect for a traditional study. 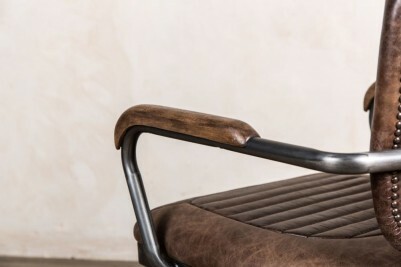 The desk chair is available with hickory brown or chestnut upholstery. 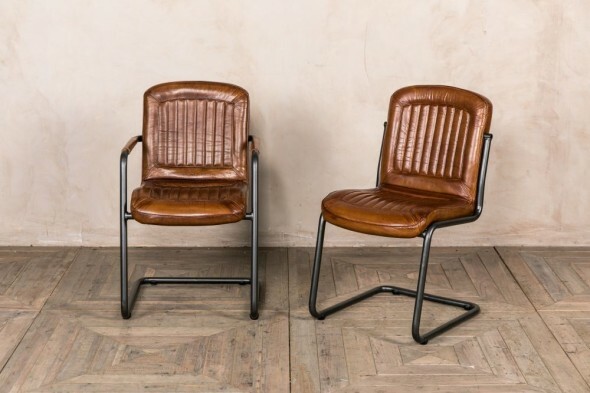 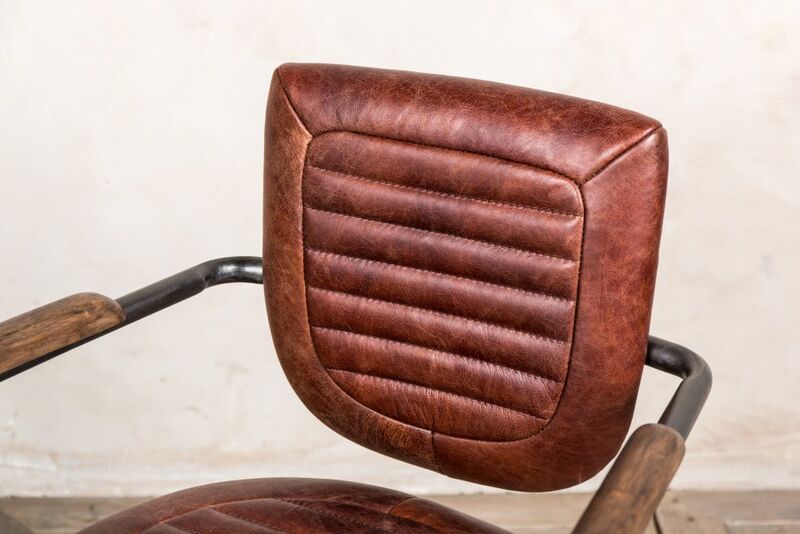 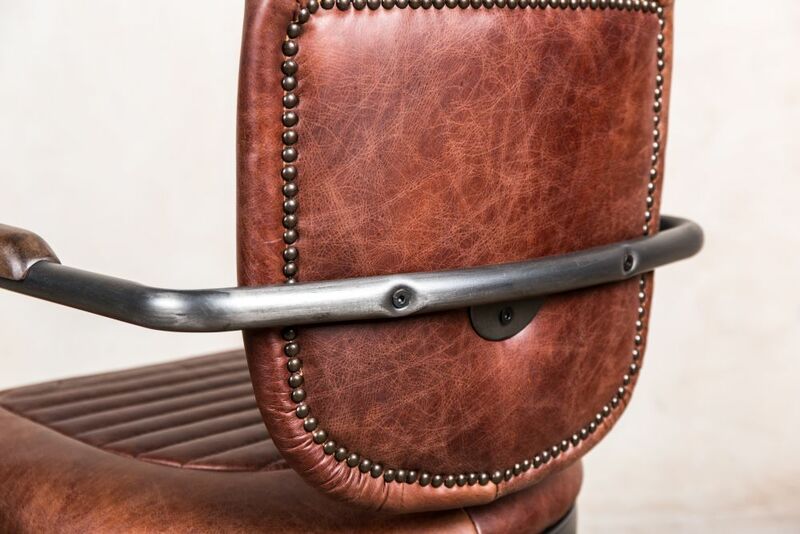 The leather also features delicate ribbed stitching, which further adds to its character, as well as a distressed rust effect on the metal arms. 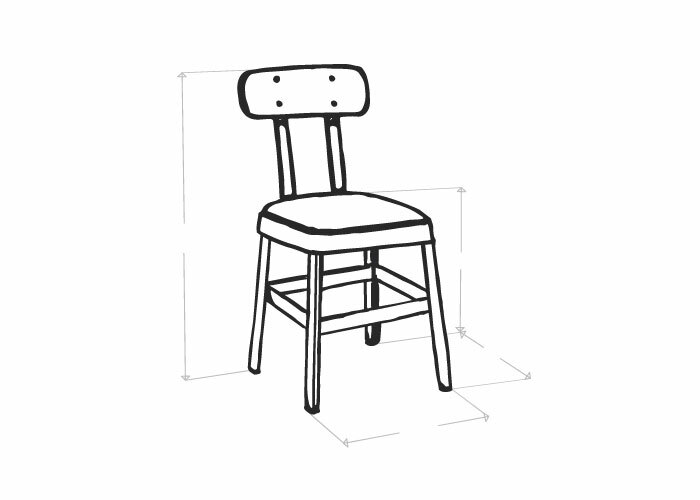 The chair rotates 360 degrees and has three wheels for moving about. 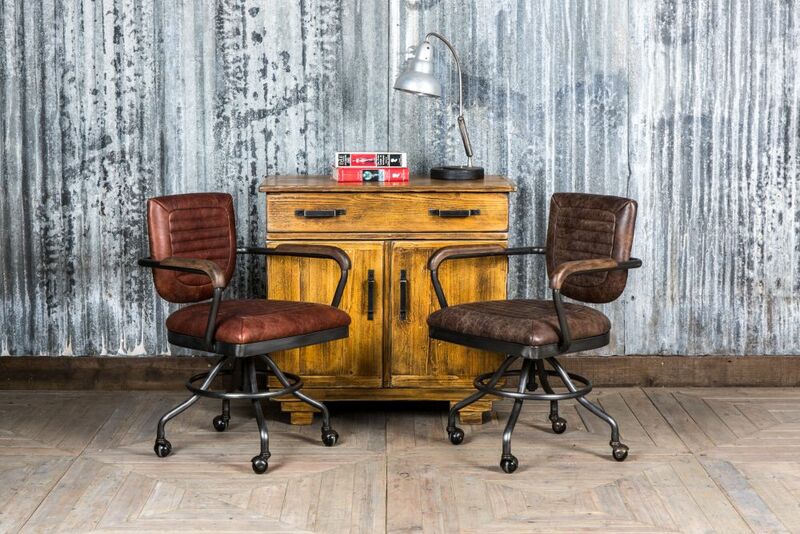 Style your office with the ‘Exeter’ chair and our vintage maps for a fantastic vintage look.